Your soon-to-be awarded degree is likely a requirement for your dream job. But what is going to set you apart from everyone else who just graduated college with the same qualification? Your network! LinkedIn is helping soon-to-be grads from around the country tap into their professional community—whether they realize they have one already or not. 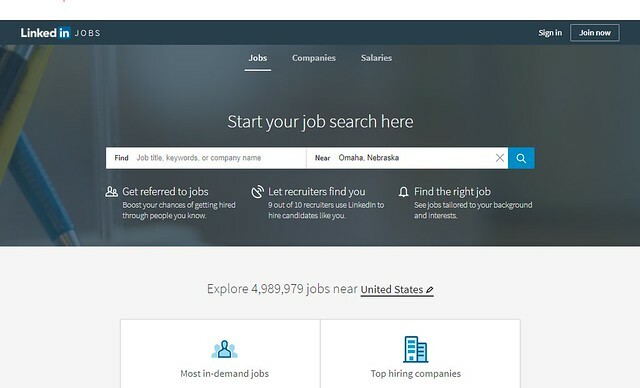 LinkedIn has the power to uncover 1st and 2nd degree connections that will boost your chances of getting hired for highly sought-after jobs in a competitive market. We found that 70% of people were hired at a company where they had a connection. One of the easiest ways for students to make connections is through the LinkedIn Alumni tool. It’s a simple way to explore and create alumni connections from your school. You can lean in on where they work now and in what cities. Simply search for your school and select “see alumni” to get started. You can access career paths for more than 23,000 colleges and universities worldwide. Your First Job is a First Step! Even if you land your dream job right out of college, the most successful professionals will warn you about complacency and how it may negatively affect your earning potential over time. Searching for jobs can seem like a daunting task, especially right after you’ve just landed one. It’s ideal to continue interviewing and keep an open mind for your next career move. LinkedIn has made it easier than ever to keep your options open even when you’re not actively seeking alternative employment. It’s called Open Candidates and it’s as easy as updating your LinkedIn career interest preferences. By flipping the switch, you privately signal to recruiters that you’re interested in new opportunities. You’ll be prompted to select relevant job titles (e.g. Regulatory specialist) as well as the industries (e.g. Finance jobs) you’re open to exploring opportunities within. Create or update your LinkedIn profile today. There is no other place where you can access such a wide range of knowledge, skills and resources to help you reach your goals!